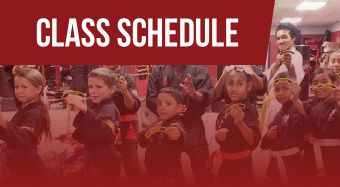 Important: Our children’s martial arts classes are age specific. We teach effective, appropriate skills to girls and boys of all ages. Their self-confidence and self-esteem soars. In our kids martial arts classes, everyone has fun and learns self-defense skills in a safe environment. MARTIAL ARTS IN BAKERSFIELD, CA. Kids and adults get into top physical shape and learn self-defense skills at the same time, at McGuire’s Karate School in Bakersfield. Taking martial arts classes in styles such as karate and kempo will offer a variety of benefits. The most obvious is that you’ll be better able to protect yourself in event of an emergency. This kind of knowledge can make a tremendous difference. Going beyond that, going to such classes can also promote a sense of physical and psychological well-being. Students become more confident as they practice and engage in activities like mixed martial arts. 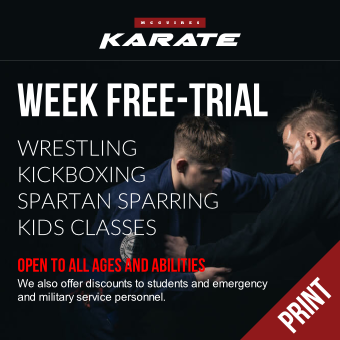 Mixed martial arts classes for kids are also available, and can be a great way for children to learn independence and self-confidence. Those who have difficulty focusing on tasks can become more disciplined by training in styles like judo and kickboxing. Gain strength and trim down with McGuires Karate in Bakersfield, CA. We’ll be happy to answer any questions you have. Call us today at (661) 427-6193 to schedule your first no-charge introduction class!